Dana Todd, opened in San Diego and currently a helper at the Subud centre in Chicago, submitted a project, Balodana, for the SESI $100,000 Project Fund at World Congress in Freiburg. She received support in the amount of $3000. During her presentation, Dana explained that 49% of women today say they can’t find clothing that fits; if they’re over 40 or larger than a size 12, that frustration increases exponentially. Balodana is bringing back the old-fashioned notion of “the dressmaker” – but with a significant technology upgrade! We help professional women who struggle with finding stylish clothing that fits their bodies and personalities, and who care about the long-term effects of “fast fashion” on the environment. 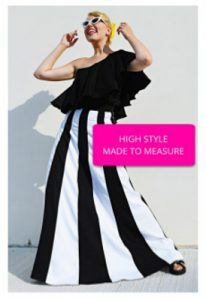 Our solution is an e-commerce marketplace that provides a curated selection of high quality, made-to-measure clothing for women of all shapes, in a range of prices and styles from designers worldwide. All clothes are made on-demand and delivered by mail. Our business model is a combination of sales commissions and service fees for the designers we host. The beta version of the site will launch in October 2018. Dana is one of the few "Digital CMOs" (chief marketing officers) with deep experience in internet and technology, combined with broad marketing and executive skills. She has led global brands and boards, passionate startups and savvy consultancies, helping solve challenges in diverse industries from pharma research to tax prep. Press and industry historians have named her one of the pioneers of the internet marketing industry and she's also recognized for her role evolving the global searchmarketing industry through public education and trade group governance. She holds a patent, rang the bell at NASDAQ, and has founded four companies.